Grew Up… in Austria, where Hans grew to recognize the political potential of the Nazi movement, joining the party early and quickly climbing the ranks of the SS. Living… in Nazi-occupied France, where Hans has been tasked with tracking down and sometimes killing Jews who are in hiding. Profession… Colonel in the SS. Hans has unofficially been named the “Jew Hunter” due to his uncanny ability to find Jews no matter how carefully they hide. Hans doesn't actually seem to have any particular antipathy toward Jews, instead hunts them because it’s his job and he’s determined to do it well. Of course, that doesn’t much help the Jews he catches, who face a terrible fate in a concentration camp – if not a quicker death. Interests… power, prestige, and security. Hans is a realist, perhaps a cynic, and understands that the world is never as simple as most people believe. He scorns ideology – even the ideology of the Nazi party – and focuses almost exclusively on what will benefit him most in a given moment. An ambitious man, Hans is always scheming to move himself into a position of greater power. Relationship Status… single. A career military officer who travels frequently, Hans doesn’t have the time or inclination to have a relationship. 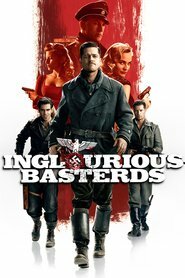 Challenge… thwarting the Inglourious Basterds’ plan to assassinate the leaders of the 3rd Reich. Short of that, he’d like to find a way to benefit from their demise. The Basterds are a group of American Jews who were dropped into Nazi-controlled France with orders to spread as much chaos and fear through the Nazi ranks as possible. Led by the indomitable Aldo Raine, no Nazi has been capable of catching them. Undaunted by their reputation, Hans pieces together the Basterds’ scheme to end the war by eradicating the leadership of the Nazi party. Hans has never been outdone in his entire life, but may have finally met his match in the single-minded and dangerous Basterds. Personality… a brilliant opportunist. Hans Landa is not a man to become mired in sentiment or ideology. To him the Nazi party is simply an effective instrument to increase his own power and prestige, although he has no problem carrying out the Nazi agenda in order to claim these privileges. A keen student of human nature, Hans is often able to manipulate others into giving him information without them even realizing it. While he is, at his core, a sociopath, he often appears warm, charming, and personable – only revealing his more vicious nature when he’s in a position to take what he wants. Hans Landa's popularity ranking on CharacTour is #469 out of 5,000+ characters. See our top-ranked characters and read their profiles.